At Coleman Taylor Transmissions, our ASE Certified technicians utilize state-of-the-art technology to accurately repair your automatic transmissions right in our Jackson, MS transmission repair shop. We understand exactly how your vehicle’s automatic transmission operates, and will diagnose and recommend only the transmission repairs that your vehicle needs. Our friendly and knowledgeable technicians will also help you understand how to properly care for you transmission to help extend its life, so you can avoid costly repairs in the future! 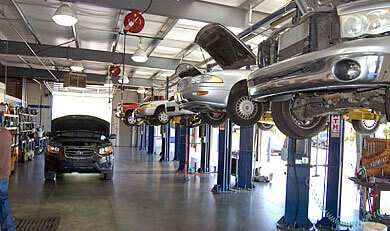 As a family owned and operated transmission repair shop, our technicians treat your vehicle as if it were our own. We take pride in the quality of our services, and we always use quality parts and tools to ensure your transmission performs its best for years to come. 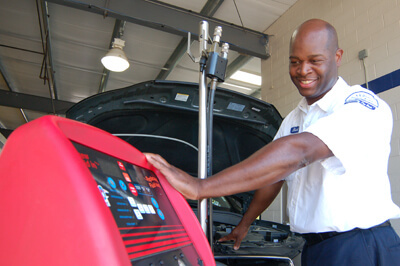 Our technicians are precise in every transmission service, and we have the latest diagnostic equipment to scan for other potential problems to make sure your vehicle receives the most thorough transmission repair Jackson has to offer. 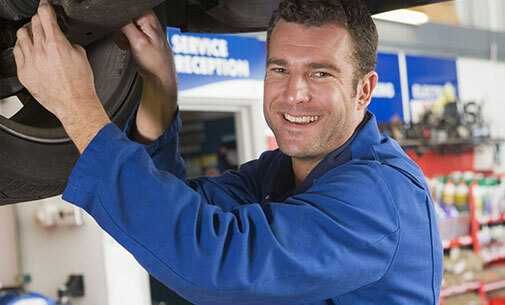 As part of our transmission service, we also have the ability to fix leaking gaskets, O-rings, or Axle Seals. 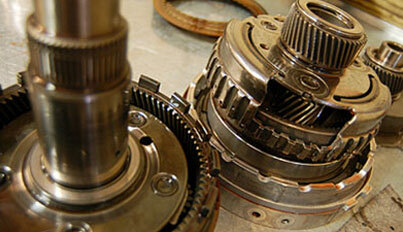 Coleman Taylor Transmission handles major repairs just as efficiently as minor ones. From a transmission repair to a transmission replacement, our team will take care of all your transmission needs. Our ASE Certified transmission specialists have the training and experience to remove, disassemble, rebuild, calibrate, and reinstall transmissions as needed. We also use 100% quality OEM parts and fluids in every service to provide your vehicle with the best service possible. FREE Towing with Qualified Repair! When your car needs a major transmission repair in Jackson, MS, Coleman Taylor Transmissions can tow you for FREE! 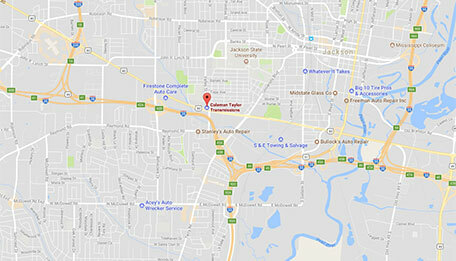 We are happy to offer our customers free towing to our transmission repair shop in Jackson from up to 50 miles away. We understand that having your car breakdown is never convenient, so we want to make the transmission repair process as easy as possible! Next time you need free towing services to Coleman Taylor Transmissions, just give us a call at (601) 355-8526 and we’ll arrange for you and your vehicle to be picked up! SAVE up to 50% OFF the Cost of a New Transmission!